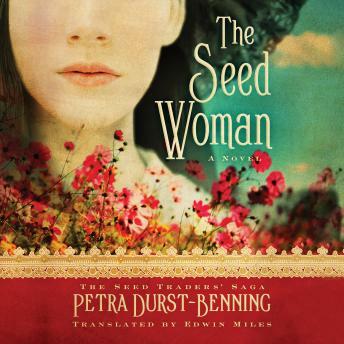 From bestselling author Petra Durst-Benning comes a sweeping emotional story of courage, triumph, and love against all odds in nineteenth-century Germany. After a long and trying journey from her home, Hannah arrives at a charming village nestled in the foothills of the Swabian Mountains, eager to find Helmut Kerner, a traveling seed merchant she loved and lost. Enchanted by the glorious wildflowers and thriving harvests stretching as far as the eye can see, Hannah feels less like an outsider with each passing hour, until she meets Seraphine, an ethereally beautiful dreamer engaged to be married to Helmut, the father of Hannah’s unborn child. Desperate to win back Helmut’s affections, Hannah gets to work and quickly discovers a passion for the seed trade, and with every change of season comes a change of heart. Can Hannah and Seraphine put aside their differences to find a way to work together, or will Hannah and her child be forced to leave this place she has come to love?